Except for a few big exceptions, such as the memorably off-pitch quotes above, Apple’s “tell them what to believe” PR strategy has worked incredibly well for years. But it has also created tensions between the company and the people who cover it, as well as within Apple itself. The company’s long-time head of PR, Katie Cotton, left the company earlier this year as CEO Tim Cook openly sought to make a major change in the way Apple interacted with the press and its customers. As the hunt for Cotton’s replacement is still in progress, and the depth of Apple’s commitment to change remains unclear, we look today at the techniques Apple has used to quietly manipulate its coverage over the years. – Part 9) A Friendlier, More Transparent Future? What you see above is the culmination of too many late weekends spent online, dozens of hours studying Google Maps street view, and perhaps a little too much free time. 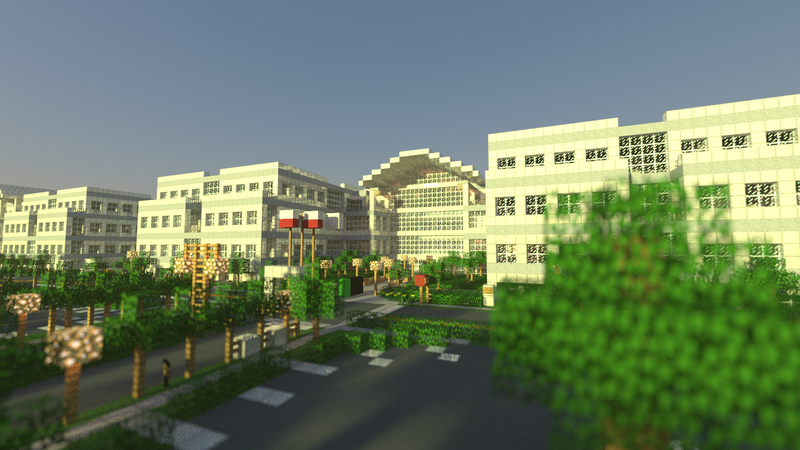 About two years ago I decided to re-create Apple’s Headquarters in Minecraft. The project seemed difficult, but I figured at a modest scale i could accomplish it relatively quickly. Apple has just revised its plans for its massive upcoming new headquarters, scheduled to be completed by 2016. The revised plans, known as Submittal 6, focus less on the structure of the building itself, instead highlighting the surrounding land and facilities, showing off new bike paths, larger parking areas, and photos of street renderings. The parking areas have been increased in capacity from 9,000 to 9,240 in the main lot, and 1,500 to 1,740 in an additional location, the report states. Updated bike access plans include new features such as enhanced bike lanes called “buffered bike lanes,” as well as bike boxes and two-stage turn boxes (images below). Although there will be an incremental increase in gross office and research and development floor area of approximately 20%, the efficient use of the main site will result in almost tripling the landscaped area. Underground and structured parking will replace 9,220 surface parking spaces – creating almost three times more open space.